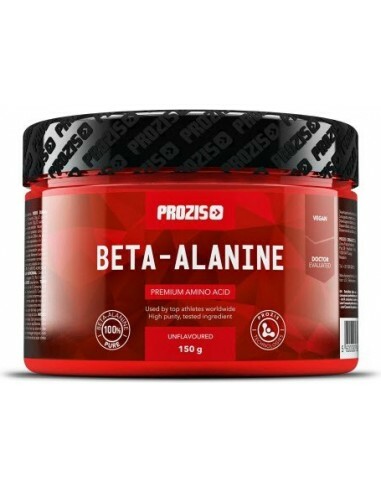 Prozis Beta-Alanine – Exceed your workout goals. 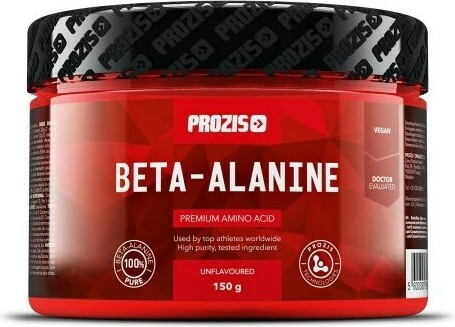 Beta-alanine is an amino acid that plays an important role in the synthesis of carnosine, a dipeptide responsible for controlling cell acidity levels. In other words, during your training sessions, especially high-intensity ones, your body produces metabolic residue, such as hydrogen ions. The more they build up, the more difficult muscle contractions become. And this can affect your performance, eventually causing fatigue and lowering strength levels. So, carnosine acts as a buffer, neutralising the metabolic residue that builds up during intense physical effort. As a precursor of carnosine, beta-alanine is widely popular among athletes and sportspeople in general, looking to improve their weight load, number of reps, sprint time, etc. Prozis Beta-Alanine gives you a premium source of Beta-Alanine, perfect for you to take before your strength or endurance training. Per serving, you get a powerful dose of 2000 mg of this amino acid, which will help you exceed your workout goals. Usage: From day 1 to 5: Take 1 serving 3 times per day. From day 6 to 35: Take 1 serving 2 times per day. Take the servings between meals. Upon completion of this period: Take a 2 week break before starting your next cycle. Directions: To prepare 1 serving, add 2 scoops (2 g) to 230 ml of water or your favourite fruit juice.